What would the church look like if we modelled the diversity of heaven in our local communities? Mathew Kuruvilla, Senior Pastor of Parkside Baptist Church, shares some of his experiences building a multiethnic church community and challenges the church to become a place of asylum for everyone. 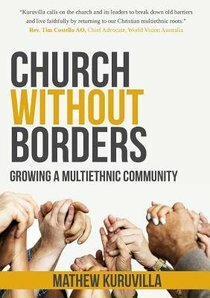 Church without Borders theologically engages with the need for multiethnic churches, offering practical suggestions to help build and nurture faith communities of people from a variety of ethnic backgrounds. About "Church Without Borders: Growing a Multiethnic Community"